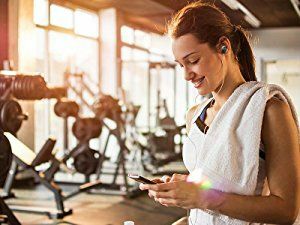 Keyless Entry puts you fully in control of your door, allowing you to configure, control and unlock your door all from your smartphone via a secure Bluetooth low energy App. 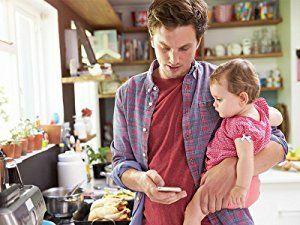 For ultimate peace of mind, you can create and send mobile keys to family and friends and keep track of who comes and goes simply using your smartphone. 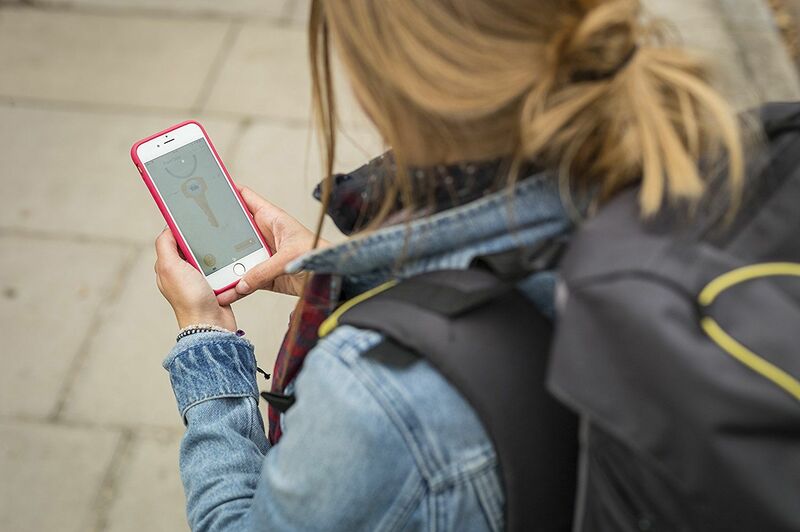 Thanks to the new Twist and Go functionality, you can also twist your phone 90 degrees to unlock your front door, as well as having the choice of key tag, key card or phone tag, depending on your preference. Key-less – gives you the freedom to secure your home without the need for a key. Four methods of entry – Smartphone App, Key Card, Key Tag, Phone Tag. ‘Twist & Go’ feature – twist phone 90 degrees to unlock yout door. Security as standard – built in tamper alarm, bank level encryption and incorrect PIN code features. Battery operated – 4x AA batteries included and an alert given when the batteries are running low. Connects to Yale Smart Alarm, CCTV range and other leading Smart Home systems. Feeling safe and secure is a must for any homeowner. 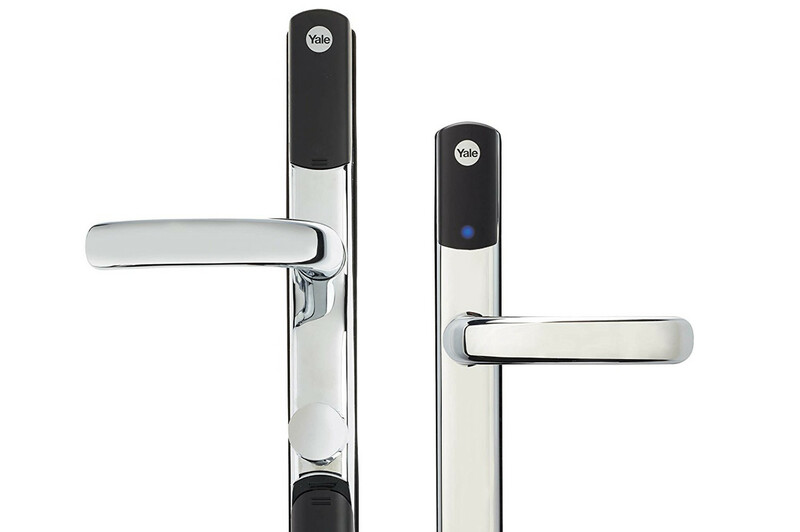 In addition to a tamper alarm, the new smart door lock also meets PAS24 security standard. The lock is compatible with most multipoint locks on the market and only takes a single screwdriver and tape measure to fit. 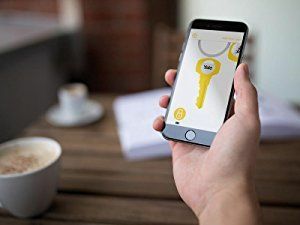 When linked with a Yale wireless module, you can connect the Keyless Entry to other Yale smart products, including the Yale Smart Home Alarm or Smart CCTV range, which can then be controlled with the free Yale app. Alternatively, the lock will also connect to leading smart home systems when the appropriate module is fitted. With Keyless Entry your smartphone is now your key. There’s no need to leave keys under the mat or worry about the hassle of replacing them if they go missing. Send mobile keys to family and friends. Choose to give access for a few weeks or hours – It’s up to you. You can even revoke mobile keys, key cards, key tags and phone tags in an instant. Have peace of mind knowing your loved ones are home safely. When using mobile keys you can receive a notification informing you they are home.